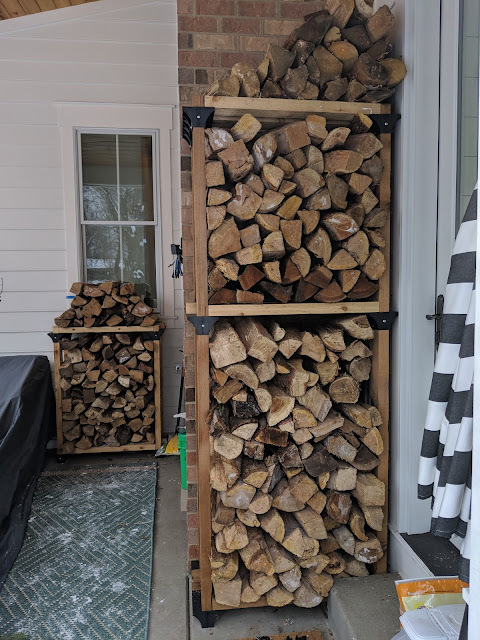 Just five days ago, I posted for all to see my top 10 to-do items for our yard and garden in 2019. There were some significant items on there like dealing with trees and adding another espalier, but item #10 talked about planning for the 'outer walking path'. 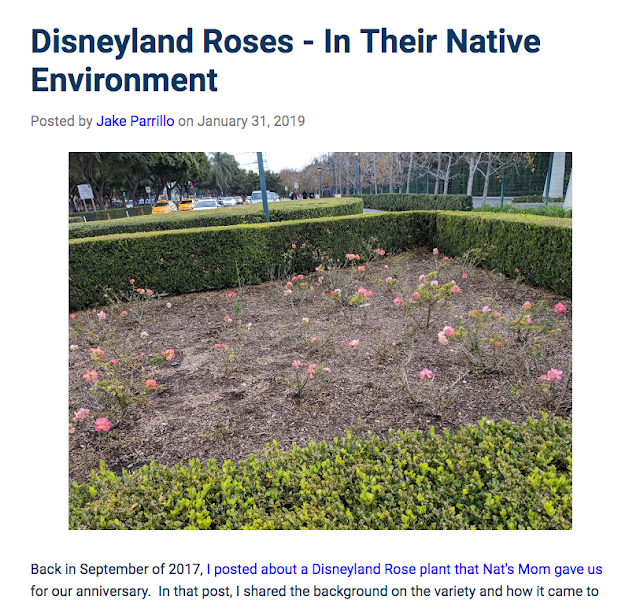 I posted about considering a path like that in August of last year and then also discussed the idea of what material is right: decomposed granite. That path would wind all the way to the back rear portion of our yard. And that's where this post comes in. To get my head wrapped around some items in the yard this Spring, I pulled out the landscape plan and revisited parts of it. 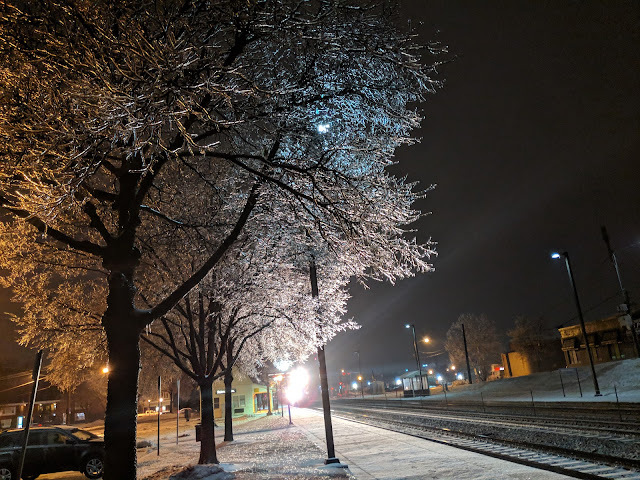 After shuffling down the driveway and through the middle of the street to avoid slipping on the ice, I was greeted by this glorious sight at the Fairview Avenue Metra Station one morning this month. This was one of the early mornings moments that I was able to enjoy the Winter instead of just keeping my head down and trying to survive the day. 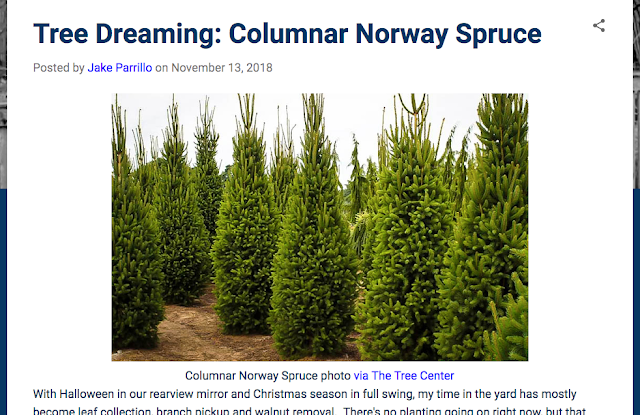 Back in November, I posted about how I was dreaming about a columnar conifer like this Columnar Norway Spruce that I found online. The Tree Center is selling 1 gallon versions of this tree for $50, but with the pot being just one gallon, you can bet that that tree is tiny. 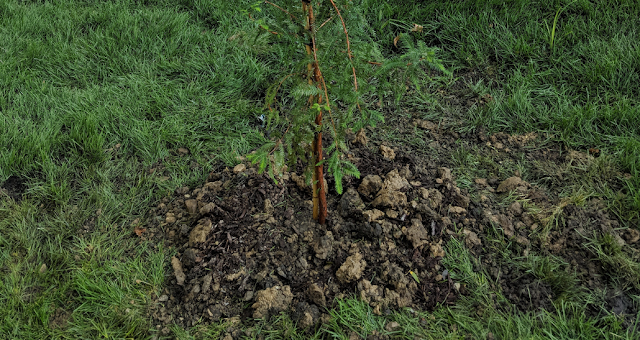 Then, just a couple of days ago, I shared my 2019 To-Do Garden List that included as #8 on the list: do something *more* with conifers. I mentioned this very Columnar Norway Spruce. Funny thing that I just came across a photo on Instagram from Lurvey Landscape Supply - which happens to be in Volo, Illinois and is on the way to Twin Lakes. I've long admired their place as we drove by, but I assumed that it was a wholesale place. Turns out, I was wrong and they not only do retail business, they encourage visits via their social handles. We give Lizzie her breakfast and water in the morning. Every morning. It is part of our routine. I wake up, go downstairs, let her out of her crate, take her out. Then we do a food/drink dance. 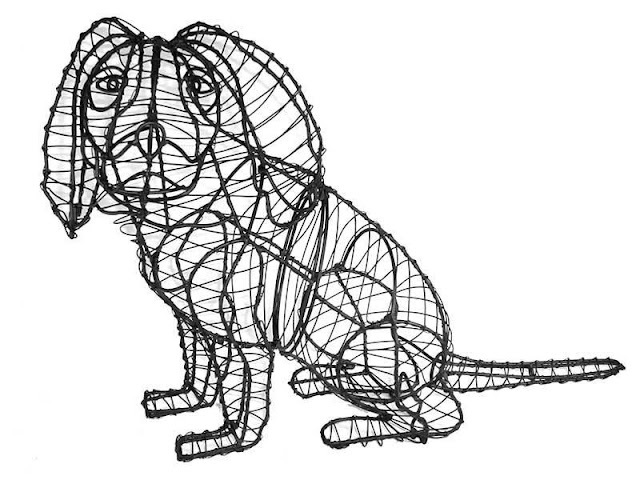 After she eats and drinks, if I'm going downtown to the office, I shuffle her back into her crate for the morning. Actually, she runs into the crate herself. Then, a couple of hours later when Nat and the kids are up and around, they let her out and she has run of the house. She's different than Maisy when it comes to food/drink. Maisy only ate and drank when you were in the room with her. We kept her food and water bowls in my office - where she lived. I'd fill them up every day, but some days it seemed like she would barely eat. And only eat when we were sitting in the office together. Lizzie on the other hand devours everything you put down. On the spot. That includes water that she guzzles. Look who I spotted on our fence?!? A bird of prey. See him perched on the top edge? In the photo above, you can see how close he is to the fly-thru feeder that we see a lot of song birds eating at most mornings. 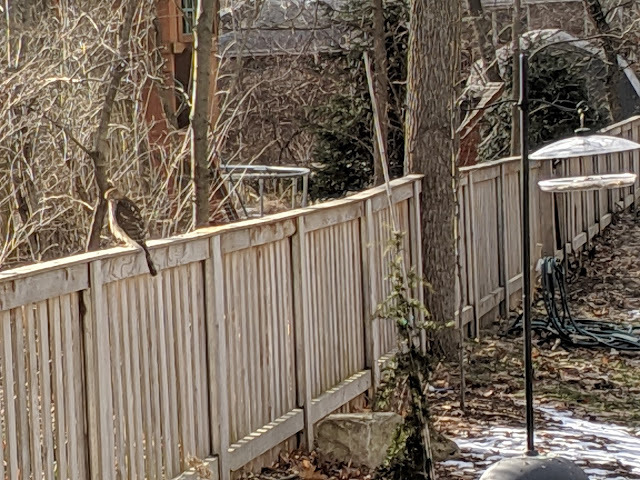 I'm pretty sure he's a Cooper's Hawk. But, I'm not too adept at identification of hawks and my phone's zoom only does so much in terms of quality photos. I was too excited to spot him and wanted to be sure I got a couple of photos of him, so I never got around to grabbing the binoculars and peeping at him closely. For those keeping track at home, this is the second time I've posted about this kind of bird of prey visiting. The first time was back in 2012 when I posted about a hawk coming into Nat's parent's backyard in Naperville. Photo here. Over the past year or so, I've posted plenty of dreaming/hoping/wishing/wanting items related to our yard and garden. With Spring right around the corner (a guy can hope, right? ), I thought I would round up all of those items that I've talked about/lusted after so I can have an organized list to attack this year. Before I get to this year, I figure I should look back at some of the things that we accomplished in the Spring/Summer/Fall of 2018. 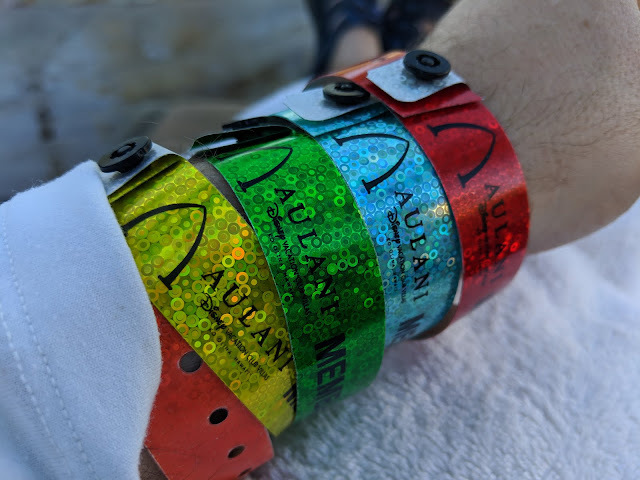 Keeping the pool bracelets that they give guests (in an attempt to keep the resort pool to guests staying there only) on your wrist as a collection isn't just for kids. It is also an Adult Aulani pro-move, too. Nat didn't participate, but that didn't stop me from rolling the rainbow collection up my arm while we were there. I mean....why not go down the tube slide with this many bracelets on your wrist, right? In early January, I posted about 2019 garden trends and highlighted gabion-style walls (retaining walls made of loose stone/other items that are kind of bound by wire/mesh fence) while discussing how the style was appealing in what we're thinking about for our own backyard. 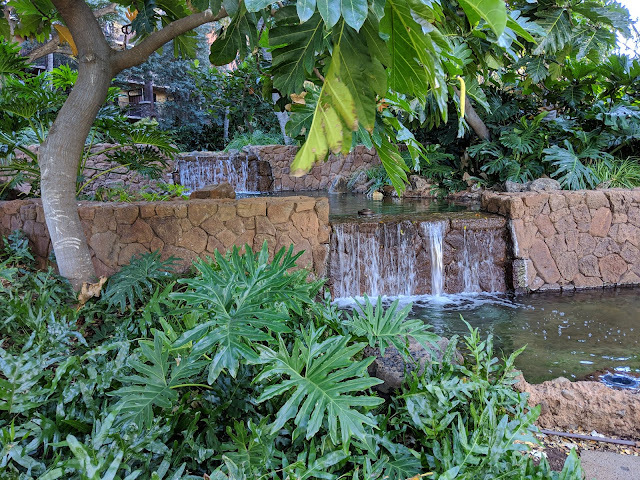 But, while on vacation in Ko' Olina in Hawaii at Disney's Aulani, I noticed that they've selected a different wall style that they use across the resort. You can see it above and below in two different uses. Top is a waterfall along with retaining wall. Below the photo is just a retaining wall. In both of these cases, they've used what I presume to be a stone/rock veneer that is all one color and irregular in shape. Mostly round(ish) and stacked without thick mortar lines in most areas, but clean, straight lines at the top and on the corners/edges. Kind of the best of both worlds: natural shapes from the material, but clean lines from the edges. 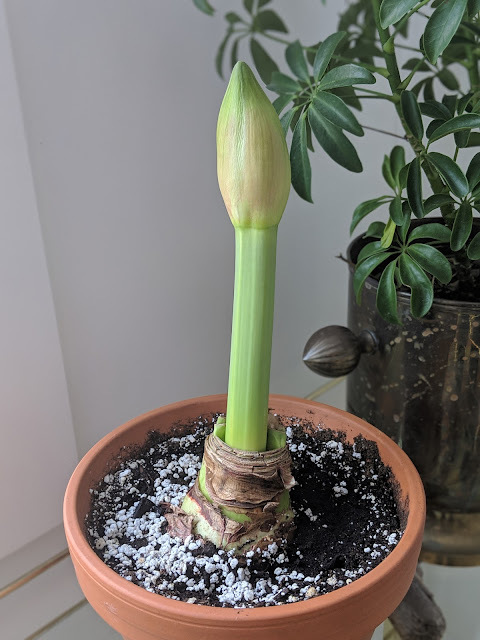 In January, I posted the results of how I successfully used an alcohol mix to limit the height of our amaryllis bulb. This was the first year that I tried to keep it from getting too tall in an attempt to be not so top-heavy. Welp, guess what? This bulb has thrown up a second stalk and it looks like we're going to get a second bloom. The photo above is of this second stalk that has emerged from the bulb. And in the bottom photo below, you can kind of see the withered part of the initial stalk that I cut down at the top of the bulb. From a look around the web, getting a second bloom (in winter) isn't that rare, it is just something that our bulbs haven't delivered in the past. Just look at the images on this sales page - where they show multiple stalks shooting up in some of their bulbs. I haven't tried to keep an Amaryllis year-over-year, but now that I see this one paying off twice, maybe this is something we should try?? Could there be anything more adorable (and Instagram-ready) than this use of day-old bananas at breakfast? 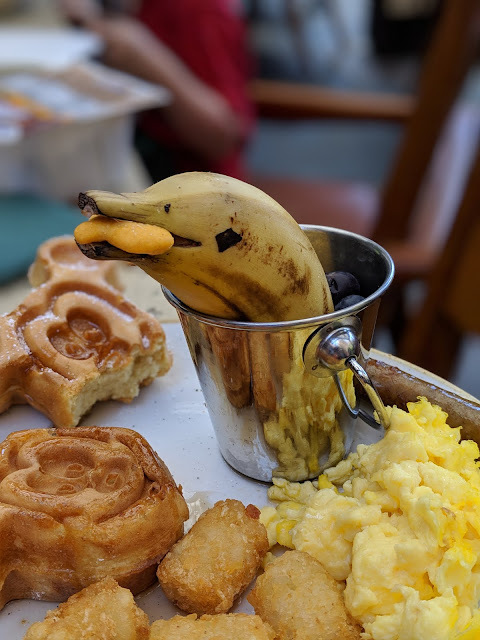 These banana dolphins are at breakfast at Disney's Aulani in Hawaii. Along with those Mickey Waffles, this is a cute kids plate, right? And, these would be so easy to replicate for a kids party, wouldn't they? 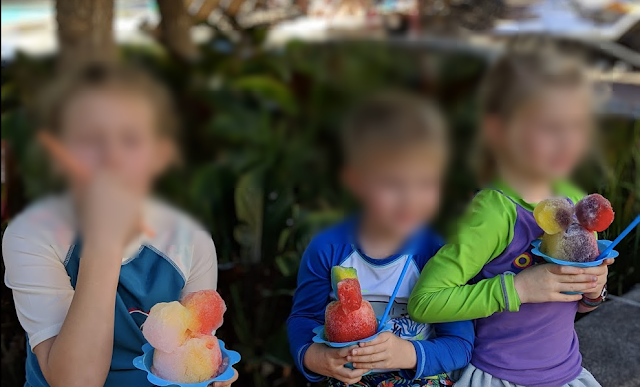 Sure, Disney does a great job being authentic to Hawaii at Aulani. And they give you great customer service. And they do a great job with the kids. But they also do the little things like this banana dolphin that make the experience a little bit better. If you're anything like us and have been to Disney Parks from time to time, your kids have probably been covered in various character stickers from cast members. 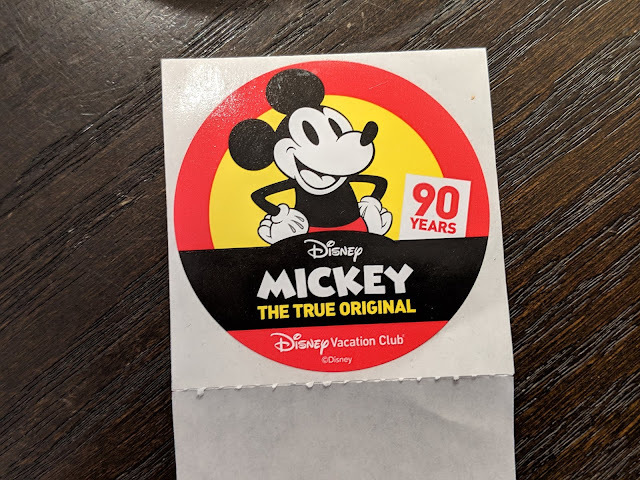 Most often these days, those stickers are coming from cast members (salespeople) who are manning Disney Vacation Club kiosks in the parks and in/around the resort hotels/property. The stickers that are most common are of just Mickey the Mouse himself. 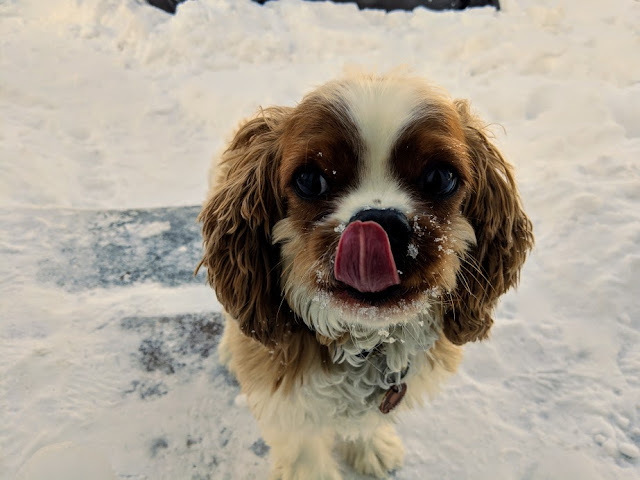 Either of his head by itself of his whole body. There are other, what I'll call 'more rare' stickers that you can get inside the parks and I've chronicled some of those. Most recently, we were given this 'Honorary Aviator' sticker from the guys at Soarin' in DCA. Job-specific roles on the cast have stickers, too. Here's one from a custodian. And one from a Monorail pilot. And we were given this Minnie Mouse sticker somewhere in the parks - which is less common than Mickey. Today is February 16, 2019. And today marks my 15th year of blogging. The first post in the archives here on JakeParrillo.com comes from February 16th 2004. Back then, it was either at JoinCrossBlog.com or Rhodesschool.com. But today, those are ported here. And I've been writing here every.single.day for a number of years. I've failed to note this anniversary since 2016 when I hit 12 years. Today....I'm at 15. That's more than 1/3rd of my entire life. If you're a Disney person, you've probably heard about the Disneyland cats. This Vice story does a good job unpacking the whole feline operation in Anaheim. There's more than 100 feral cats that live in and around Disneyland Park that are fed and tended to (even tagged and neutered!) by Disney cast members/staff. All in the name of reducing the rodent population - which they do a pretty great job. Just to be clear here: We're not cat people in the Parrillo household. Don't get me wrong, I'm not going to rain on your cat parade. Just not going to be besties with Beth O and bring in cats to our house. 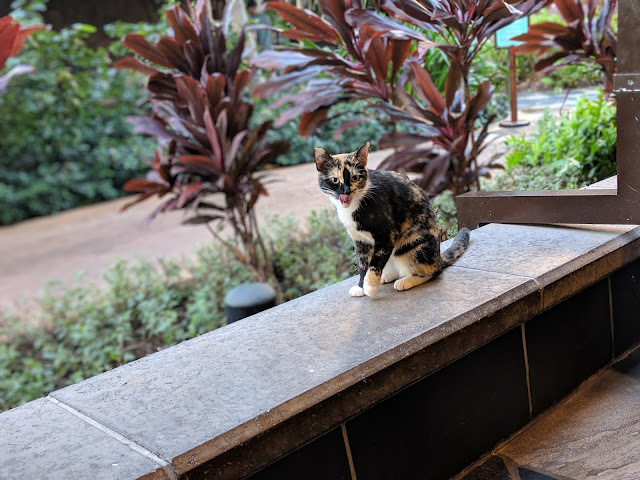 Seeing cats out in the wild? Just fine, though. And, for the record, this is the first entry into the archives with the [Cats] tag. 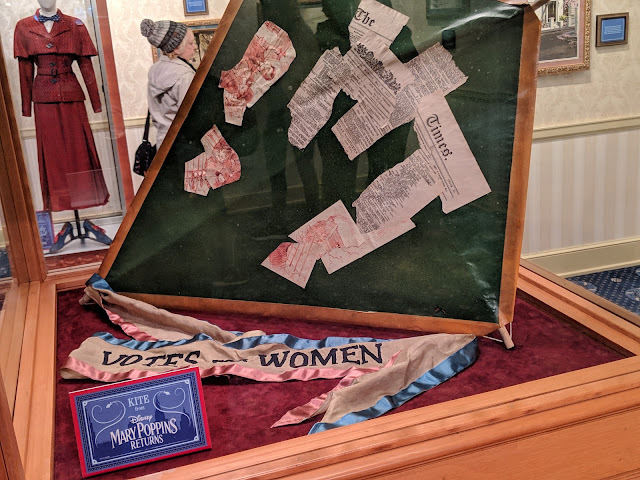 I came across this little display and sign inside of the City Hall in the townsquare at the end of Main Street USA at Disneyland Park on our trip. It is titled "Yesterday" and speaks to the idea of nostalgia. 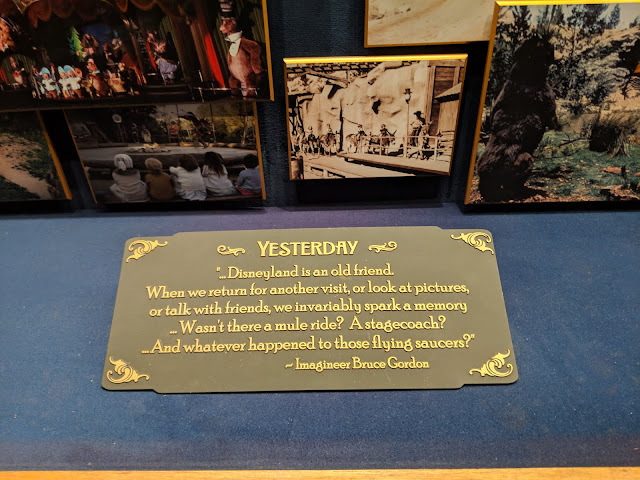 Written/said by Imagineer Bruce Gordon. I had never heard of him, but he was an Imagineer who died pretty young - at the age of 56 - back in 2007. His work includes the creation of Splash Mountain, the 1998 renovation of Tomorrowland, the Many Adventures of Winnie the Pooh, the Finding Nemo Submarine Voyage and Tarzan's Treehouse. Some Disney purists might look at his resume and think he's, ah...associated with some terrible projects. The 1998 Tomorrowland renovation was panned. The Tarzan Treehouse conversion from Swiss Family Robinson certainly has detractors. Same with the Nemo submarine voyage. Changes to "classic rides". 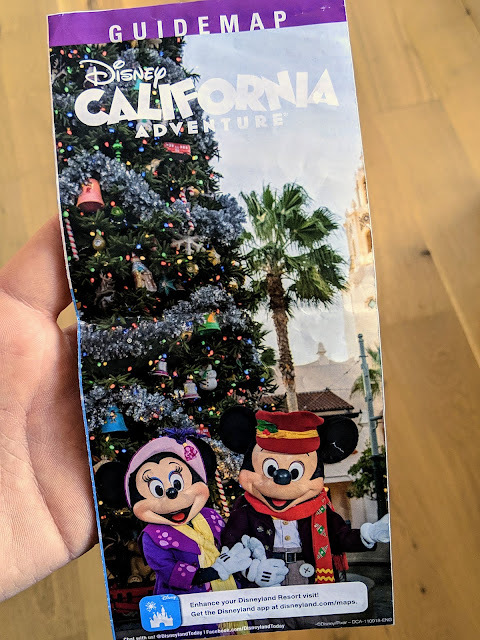 A couple of weeks back, I added a photo of the Holiday Season Disneyland Park map to the collection here on the blog and today, I'm adding the companion Christmas/Holiday Season Disney California Adventure Parks map. You see Minnie and Mickey in their winter gear in from of a big Christmas tree in the cover photo. The holiday decorations at DCA are fine, but they're not quite as special as the ones at Disney's Hollywood Studios. The vintage tinsel-laden decor that they put up in Orlando is the best in any of the parks. The full series of posts showing off various Disney Parks maps including both Tokyo DisneySea and Tokyo Disneyland along with some seasonal/special holiday party maps from the Magic Kingdom can be found here. 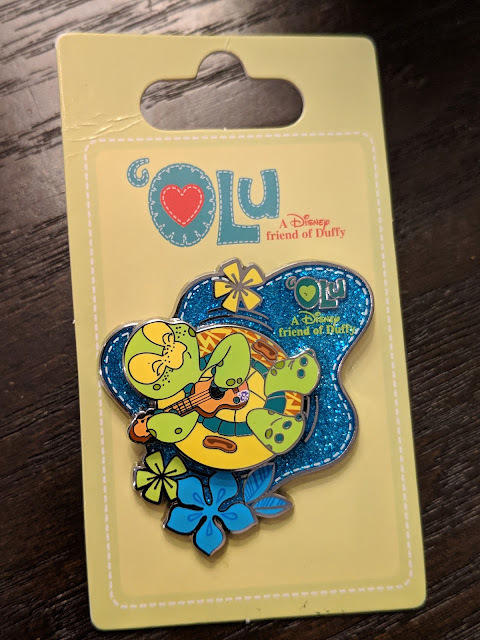 Have we talked about Aulani? A little bit on the blog, right? 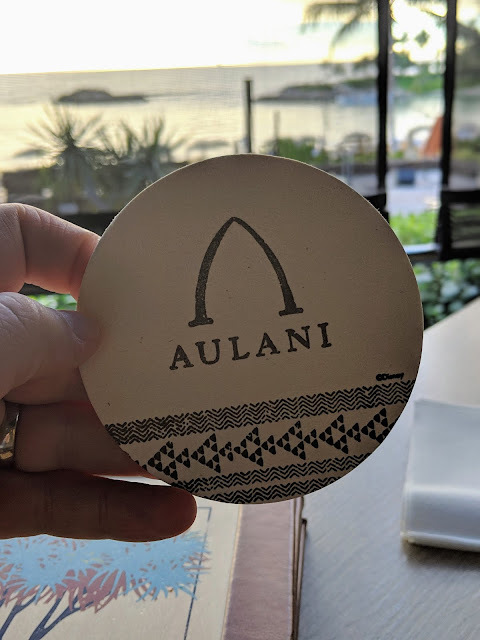 Welp, here's a coaster that I added to the [coaster collection] here on the blog from the Aulani Resort in Hawaii. This is the 35th coaster in the collection and follows the most recent addition of #34 from the Lamplight Lounge at Disney's California Adventure. This is the 12th Disney-related coaster in the collection - which means more than 1/3rd of them are Disney-themed.